A Monday night jam is always a last resort for us as it makes the rest of the week a miserable mess. Nevertheless, a Monday night jam is way better than no jam at all. We were scheduled to play with Trister but he was a no show at the last second and Alan was on the self appointed disabled list for a week. That left only the five of us to hold up the fort. 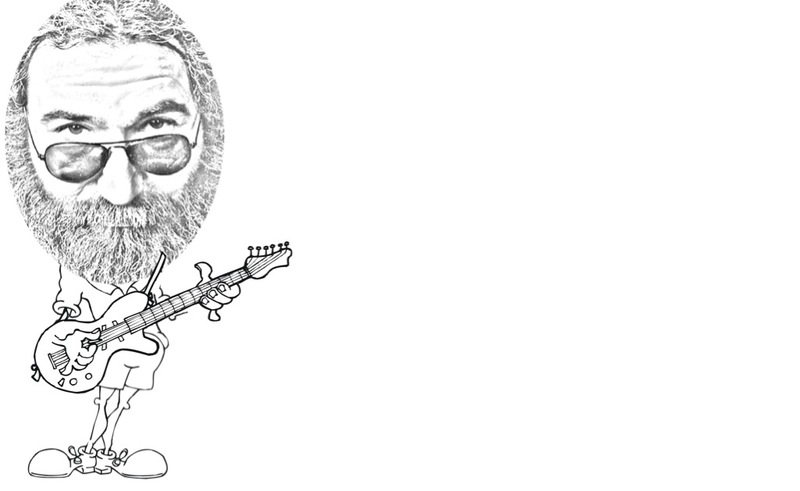 It did give us a chance to catch up on some highly neglected Jerry Garcia Band music. Our only guest was Steve, MOndays are tough you know. We started with Jerry Garcia Band/Grateful Dead songs to begin and end that go both way, but other than that, we were almost all Jerry Garcia Band. Somehow we did throw in a RosaLee McFall which could have been the highlight of the night. It had a great galloping beat and I am amazed we were right on with the turn over to B throughout the song and didn’t jump it once. That is the trick with this song. Many of the Garcia Band songs were big and long and therefore, we didn’t reach the 20 song mark. You always expect to play a few less songs when it is a GarBand night. for instance, the Simple Twist of Fate had a 2-round base lead. The Waiting for a Miracle was miserably slow, sorry about that one, and many of the songs were over 10 minutes in length. All of this and the 45-minute break lead to the low song count but the vibe was there.